It’s almost Christmas Eve and everyone’s just scrambling about for some last minute holiday shopping. Shopping malls get so crowded, you find yourself taking more time to push your way through rather than buying the gifts themselves. Plus, there’s no escaping the confusion of what exactly to get your loved ones. Instead of getting yourself into this mess and buying all the wrong gifts, the perfect solution would be to allow your loved ones to buy their own gifts. Not only do you save yourself the hassle of the holiday rush, but your loved ones can get exactly what they want. Since giving outright cash can seem a little tacky and thoughtless, convert your greens to something that’s more gift giving worthy. A Master Card Gift Card. It’s the perfect alternative to giving gift cards that are specific to only one store, or cash and checks. The card is applicable to just about anyone, and can be used just about anywhere. * Card is ready for use during the time of purchase, making sure your loved one is free of extra work and hassle. Shop right away! 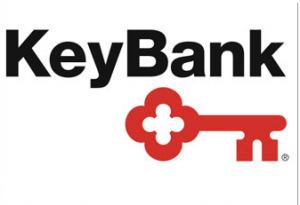 * Can be used in locations where Debit MasterCard cards are accepted, ATMS with STAR and Cirrus acceptance marks, and at all KeyBank ATMS. * Card can be used for as long as the balance is still available or up until the card expires. There are fees associated with the acquisition of the card. The card issuance fee is $3.95, ATM Withdrawals for $1.00, ATM Balance Inquiry at $0.25, Refund Processing Fee at $9.95, and Monthly Maintenance Fee at $2.50. Don’t be intimidated by the monthly maintenance fee since it is charged on any unused balance twelve months after the card was issued or after the expiration date. The Card expires until the “Good Thru” date that is shown on the card. Card holders are encouraged to use up the amount within the card before the balance expires. The Key Bank Possibilities Card MasterCard Gift Card is the perfect gift to give for the holiday season, especially for those who were too busy to shop in advance. For sure it won’t cease to put a smile on the face of your loved one this Christmas.